Indonesia goes to the polls on 17 April, with the same presidential candidates as five years ago: the incumbent, Joko Widodo (known as Jokowi), a self-made former furniture exporter and former governor of Jakarta, and Prabowo Subianto, a former general who was once a son-in-law of Soeharto, the authoritarian former president who ruled for three decades until 1998. In 2014, the presidential election was painted by the candidates as a dramatic choice between a continued reformist democracy or a return to the stability and authority of Soeharto’s New Order. The former argument scraped over the line, and Jokowi won office. 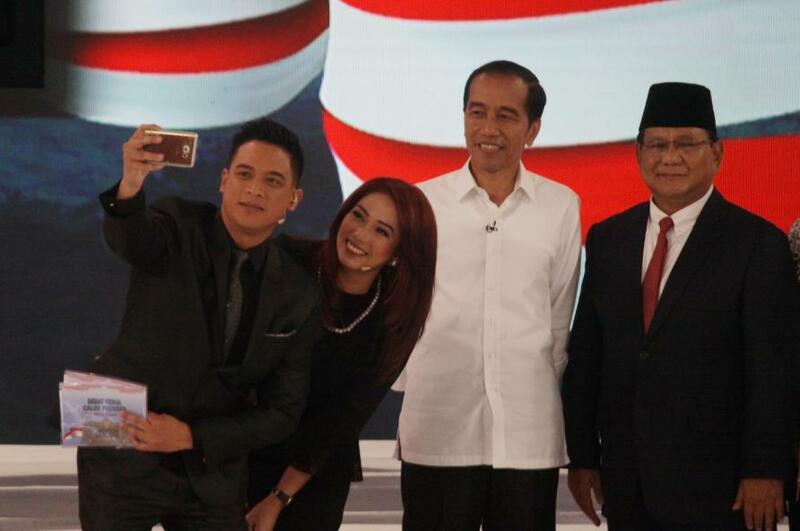 This time around, the Jokowi-Prabowo rematch is a lot harder to get excited about. In the last election, one of Jokowi’s advantages was simply that he wasn’t Prabowo. Jokowi wasn’t tainted with a record of human rights abuses as part of Soeharto’s oppressive and undemocratic New Order regime as was Prabowo. Instead, Jokowi was able to present himself as a champion of democracy, good governance and continued reform. Among other things, his electoral platform promised to strengthen human rights and even offered justice to survivors of the 1965 to 1966 killings of Communist Party members and supporters. This won Jokowi strong support from Indonesia’s vibrant civil society, which for years has driven Indonesia’s spectacular post-Soeharto democratisation. But this time around, Prabowo’s main advantage is simply that he isn’t Jokowi. Jokowi has markedly failed to deliver on many of his election promises that attracted civil society in 2014. He has done almost nothing about the 1965 to 1966 killings and other historic abuses, despite weekly protests by victims and families, and much of the rest of his progressive agenda has gone nowhere. He has, for example, passed laws that enable him to unilaterally ban civil society organisations without the judicial approval required in the past, and has politicised law enforcement, with several prominent critics arrested or investigated. The result is that many of his former civil society supporters from 2014 have lost faith in him. 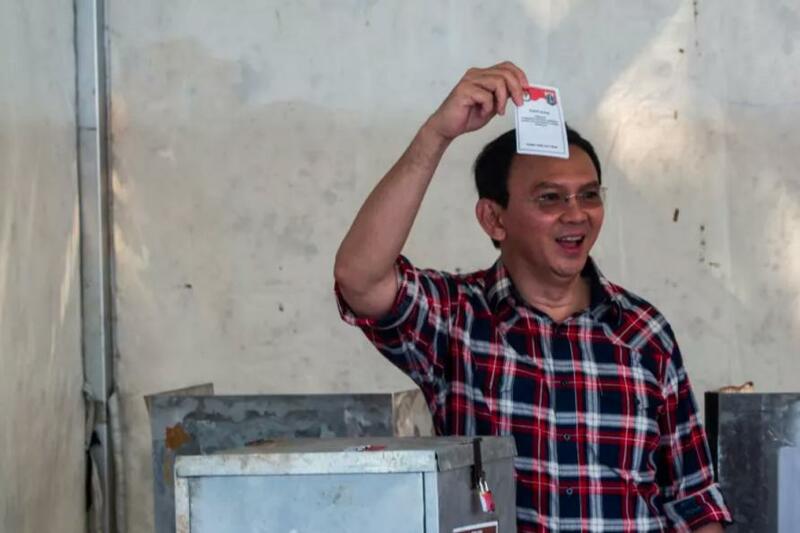 A few have shifted their loyalties to Prabowo, who they see as more decisive, but most baulk at supporting a man who admitted involvement in the abduction of dissident students around the time of his father-in-law’s fall from power in 1998. Instead, these disillusioned former Jokowi supporters have joined the so-called ‘golput’ movement, calling on voters to abstain or donkey-vote, as neither candidate deserves support. 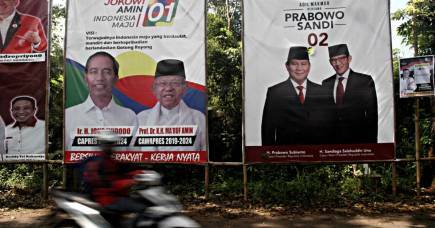 But Prabowo’s role as the only alternative to Jokowi has won him much more substantial support from another sector – conservative Islamists. 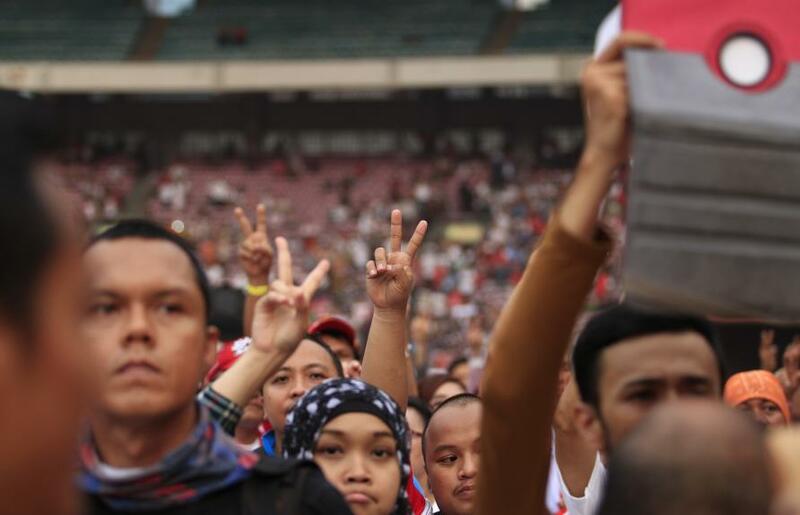 These now form the core of Prabowo’s supporters and dominate his campaign rallies. Prabowo is a very odd choice for these groups. He has a reputation for being a not particularly devout Muslim. In fact, Prabowo was, as he said during a recent candidates’ debate, “born from the womb of a Christian mother” and his brother, the tycoon who finances his campaigns, is also a Christian. But conservative Islamists don’t back Prabowo for his religious qualities. They back him because he isn’t Jokowi. 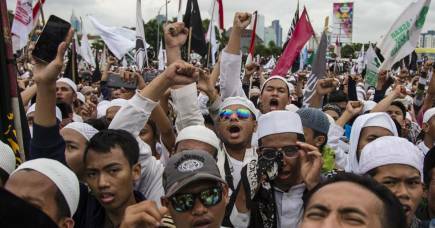 In fact, they loathe Jokowi who they see as a major obstacle to an Islamist agenda that includes greater application of conservative interpretations of sharia law and, for the hardliners, the eventual creation of a caliphate to replace Indonesia’s democracy. 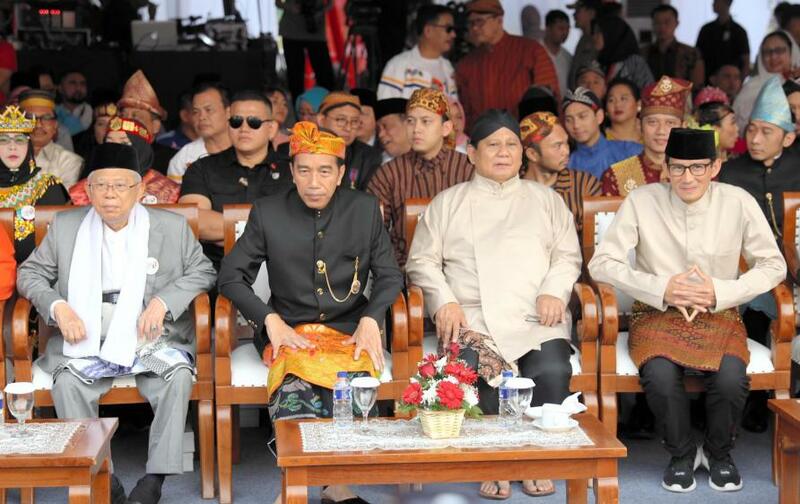 Prabowo is their friend, for now, simply because he is their enemy’s enemy. They have already promised to go to the streets if their man loses. This is a threat that should be taken seriously. In fact, the conservative Islamists’ conflict with Jokowi resulted in one of the major crises of his rule, the 2017 conviction and jailing of the then Governor of Jakarta, Basuki Tjahaja Purnama (known as Ahok, or BTP, as he now prefers), for blasphemy. Ahok had been Deputy Governor under Jokowi and stepped up when Jokowi resigned to run for the presidency. A Chinese Christian governor was intolerable for hardline Islamists, and they used comments about the Qur’an made by Ahok while campaigning for re-election to launch a massive populist campaign against him. This led to hundreds of thousands taking part in rallies that targeted Ahok and, eventually, his former friend and close colleague, Jokowi. After Ahok’s fall, some of the Muslim organisations that had formed the ‘212 Action to Defend Islam’ to tear down Ahok, morphed into a new movement to ‘Change the President’, and it has troubled Jokowi ever since. In response, Jokowi used his new powers over civil society groups to proscribe the Indonesian arm of Hizbut Tahrir, a global organisation that seeks to establish a caliphate. He also backed criminal charges against figures he saw as leading public criticism of his government. He was also forced by his backers to co-opt a conservative Muslim religious scholar as his vice-presidential candidate to counter Islamist criticism. In this way, battle lines were drawn that have given Prabowo his Islamist ‘base’ and allowed Jokowi – despite his disappointing performance – to still present himself as the candidate of pluralism and tolerance. The deeply polarising animosity between the core supporters of each candidate have generated a particularly vicious social media campaign, full of trolling, outrageous hoaxes, fake news and online vilification. Old rumours that Jokowi is a closet Christian from a communist family have been re-exhumed and widely circulated. But outside the bitterly opposed views of their respective core supporters, not much is all that clear about how Indonesians will vote, with some seeming quite detached – after all, they have seen this show before. One reason for this may be that there is little detailed policy debate. Both candidates claim to treat the economy as a key issue but offer little clarity or funding detail to justify the many promises they have made, some of which are hard to reconcile – for example, to improve wages but cut production costs. 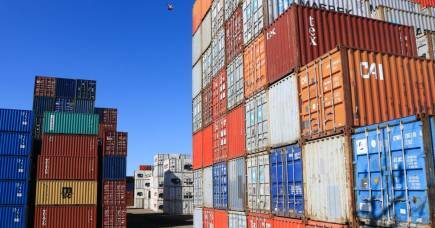 Likewise, both seem to support Indonesia’s long-standing practices of economic protectionism and have promised to be assertive against foreign influence, but have also promised to win more foreign investment. But perhaps Indonesians know that in the end policy promises won’t matter much? Whoever becomes president on 17 April will spend the next few months negotiating with powerful tycoons who fund the campaigns (some of whom also control much of the media), and will want their investment recouped. This will be complicated by the fact that, once again, no party is likely to win an outright majority in the legislature, and a coalition will have to be slowly pieced together. The winner will eventually end up with a cabinet largely filled by proxies of the tycoons and party heavies, and policy will, as usual, be the product of messy horse-trading between cabinet and the national legislature. Whoever wins, the new government may not seem all that different in the end. Despite all these uncertainties, Jokowi still has a strong double-digit lead in the polls. But with policy out of the mix, and an unknown number of voters likely to ‘golput’, many observers think the youth vote may prove decisive. Around 40 per cent of Indonesia’s 192 million voters are under 24, and over 85 per cent are Muslim. These 80 million millennials tend to be conservative, with little experience or memory of Indonesia before democratisation, and some are apathetic about politics. But they are also highly connected and make Indonesians the fourth-highest Facebook users in the world. For many millennials this will be their first chance to vote, and they clearly have the capacity to decide the outcome. Despite extensive efforts by both sides to woo them online, no one quite knows yet how they will vote, or even how many will vote at all. Who knows, perhaps the millennials might yet make this election more than just a replay of 2014?